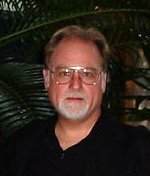 Steven Scott Garrett, 59, a longtime resident of Fort Worth, passed away Friday, May 14, 2010. Celebration of life: 5:30 p.m. Saturday, May 29, at Arts Fifth Avenue, 1628 Fifth Ave., Fort Worth. Memorials: In lieu of flowers, the family has asked that donations be made in Mr. Garrett's name to Arts Fifth Avenue, 1628 Fifth Ave., Fort Worth, Texas 76104, 817-923-9500. Steven was born Sept. 27, 1950. He attended Paschal High School and was a vital part of the development of many local theaters, including Fort Worth Theatre and Stage West. Mr. Garrett also appeared in numerous local theater productions. Survivors: Many loyal friends, including Alan Burton, Melinda Lockett, Dustin Nolen, Lynda Rodriguez and Lynn Smith. Steve and I were good friends for a very brief period--the summer of 1967. With a couple of other like-minded folk (who will not be named in this narrative; y'all will have to out yourselves, if you dare), we tested various limits (also herein unnamed). Me, I had one of my usual terrible summer jobs--as a clerk at Skillern's drug store on East Rosedale--and, after I got off work, Steve would pick me up in his car and take me away. He was smart and witty, wonderful fun, and always up for anything. Our fun-filled summer idyll came to a premature, abrupt end when one of our parties got somewhat out of hand. The next day: one of us got shipped off to military school and another got exorcised by a priest. Steve was grounded--forever, more or less--and forbidden to see me (the ostensible ring-leader and preternatural bad influence; though, with my usual good luck, I walked away, scot-free, from everything). Steve was a sweet, kind and generous friend. I'm sorry we didn't get a chance to spend more time together. I played softball with Steve in elementary school he was a genuine, good person.